There's many ways to imporve your home, but not many improvements add the value, curb appeal, and safety that a new roof or fresh siding provide. Talk to RC Contracting today to get started on a new project for your home with our roofing and siding experts! Do you wish you could remodel your kitchen and transform that essential part of your home into the place you most love to spend time? That’s what RC Contracting has been doing for our customers for over 20 years. 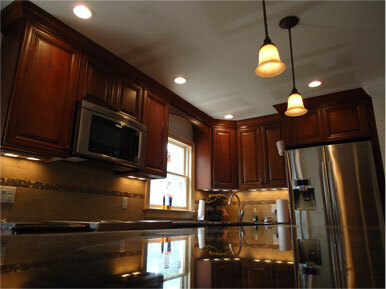 Instead of an overwhelming kitchen remodeling project, you may find your remodeling solution far simpler and affordable than you expected. Bathroom remodeling can change the whole complexion of your home and help you get through your mornings and off to work a whole lot easier. RC Contracting will fit your bathroom with state-of-the-art toilets and flooring. When it's time to remodel your home's existing footprint, or build an extension to let your family spread their wings, make sure you do it with the best. Ray Coleman is your one-stop shop for everything from architectural planning and residential remodeling, kitchens, baths and build to suit commercial build outs. No matter how big, or how small, Ray Coleman can take your project from dream to reality! © Copyright 2015 RC Contracting All Right Reserved.